Dean Farm comprised cottages, barns, outbuildings and stables around a courtyard. The client wished to convert the whole site into a residential dwelling and particularly wanted an adventurous approach involving a mix of contemporary styles. 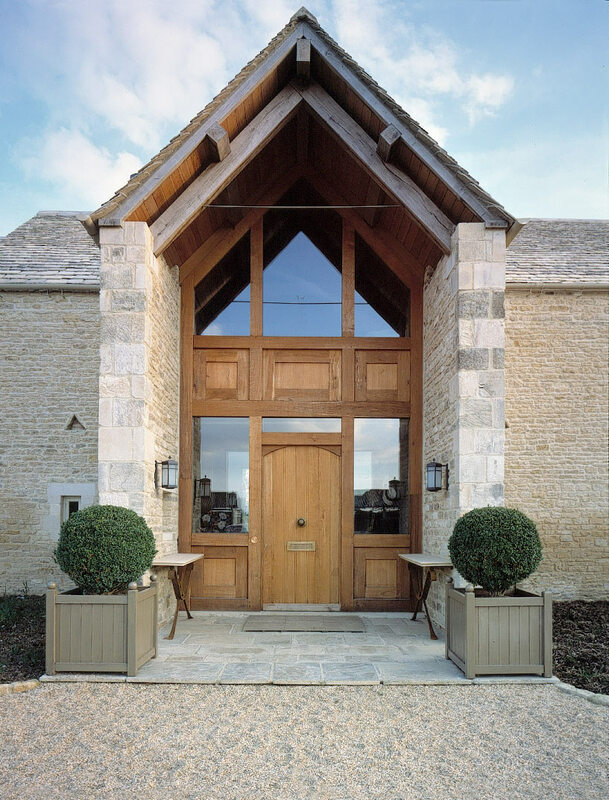 Residential architects Acanthus Clews’ plans involved the sensitive alteration and repair of all the buildings with attention to detail and materials, retaining the agricultural appearance of the courtyard and its formal opening. The main house was formed by linking the cottages with two barns which in turn lead to a swimming pool in one of the outbuildings. Another outbuilding was converted into a greenhouse and a further one repaired and refurbished to provide accommodation for a housekeeper. Particular care was taken over the openings in the walls. The windows and doors were mainly introduced on the yard side rather than on outside walls.